Cyber Week Discount is here. Get Started TODAY for FREE! Enjoy mega discounts with best service and no up-front fee with our Cyber Week promo. With Black Friday and Cyber Monday gaining popularity all over the internet, MachSol is offering more than your imagination! Get the perfect services and automation at your doorstep with prices like never before. This Cyber week MachSol is giving an offer that you don’t have to pay any up-front fee on getting hands on with MachPanel – The number one Multi-Cloud Service Orchestration Platform enabling (Managed) Service Providers, Enterprises and Governments to Automate and Manage On-Premise and Multi-Cloud end-to-end Service delivery. 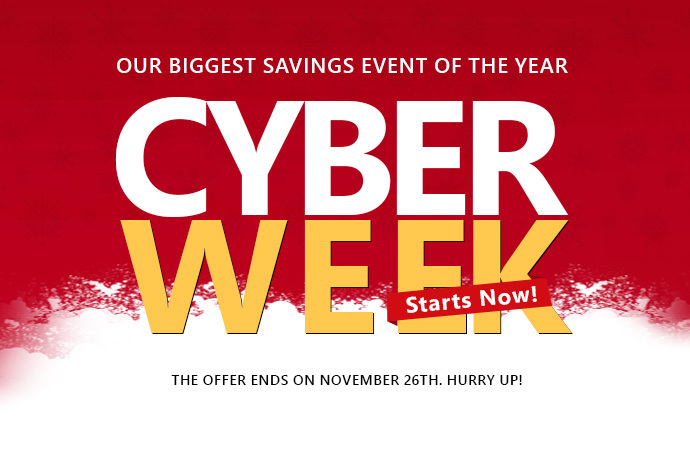 Posted in Announcements | Comments Off on Cyber Week Discount is here. Get Started TODAY for FREE!